The Hebrew University of Jerusalem (Hebrew: הַאוּנִיבֶרְסִיטָה הַעִבְרִית בְּיְרוּשָׁלַיִם, Ha-Universita ha-Ivrit bi-Yerushalayim; Arabic: الجامعة العبرية في القدس‎, Al-Jami'ah al-Ibriyyah fi al-Quds; abbreviated HUJI) is Israel's second oldest university, established in 1918, 30 years before the establishment of the State of Israel. The Hebrew University has three campuses in Jerusalem and one in Rehovot. The world's largest Jewish studies library is located on its Edmond J. Safra Givat Ram campus. The university has 5 affiliated teaching hospitals including the Hadassah Medical Center, 7 faculties, more than 100 research centers, and 315 academic departments. As of 2018, a third of all the doctoral candidates in Israel were studying at the Hebrew University. The first Board of Governors included Albert Einstein, Sigmund Freud, Martin Buber, and Chaim Weizmann. Four of Israel's prime ministers are alumni of the Hebrew University. As of 2018, 15 Nobel Prize winners, 2 Fields Medalists, and 3 Turing Award winners have been affiliated with the University. The building of Academy of the Hebrew Language, Givat Ram. The AHL replaced in 1953 the Hebrew Language Committee, established in 1890. One of the visions of the Zionist movement was the establishment of a Jewish university in the Land of Israel. Founding a university was proposed as far back as 1884 in the Kattowitz (Katowice) conference of the Hovevei Zion society. The cornerstone for the university was laid on July 24, 1918. Seven years later, on April 1, 1925, the Hebrew University campus on Mount Scopus was opened at a gala ceremony attended by the leaders of the Jewish world, distinguished scholars and public figures, and British dignitaries, including the Earl of Balfour, Viscount Allenby and Sir Herbert Samuel. The University's first Chancellor was Judah Magnes. By 1947, the University had become a large research and teaching institution. Plans for a medical school were approved in May 1949, and in November 1949, a faculty of law was inaugurated. In 1952, it was announced that the agricultural institute founded by the University in 1940 would become a full-fledged faculty. During the 1948 Arab–Israeli War, attacks were carried out against convoys moving between the Israeli-controlled section of Jerusalem and the University. The leader of the Arab forces in Jerusalem, Abdul Kader Husseini, threatened military action against the university Hadassah Hospital "if the Jews continued to use them as bases for attacks." After the Hadassah medical convoy massacre, in which 79 Jews, including doctors and nurses, were killed, the Mount Scopus campus was cut off from Jerusalem. British soldier Jack Churchill coordinated the evacuation of 700 Jewish doctors, students and patients from the hospital. When the Jordan government denied Israeli access to Mount Scopus, a new campus was built at Givat Ram in western Jerusalem and completed in 1958. In the interim, classes were held in 40 different buildings around the city. The Terra Santa building in Rehavia, rented from the Franciscan Custodians of the Latin Holy Places, was also used for this purpose. A few years later, together with the Hadassah Medical Organization, a medical science campus was built in the south-west Jerusalem neighborhood of Ein Kerem. By the beginning of 1967, the students numbered 12,500, spread among the two campuses in Jerusalem and the agricultural faculty in Rehovot. After the unification of Jerusalem, following the Six-Day War of June 1967, the University was able to return to Mount Scopus, which was rebuilt. In 1981 the construction work was completed, and Mount Scopus again became the main campus of the University. On July 31, 2002, a member of a terrorist cell detonated a bomb during lunch hour at the University's "Frank Sinatra" cafeteria when it was crowded with staff and students. Nine people—five Israelis, three Americans, and one dual French-American citizen—were murdered and more than 70 wounded. World leaders, including Kofi Annan, President Bush, and the President of the European Union issued statements of condemnation. In 2017 the Hebrew University of Jerusalem launched a marijuana research center, intended to "conduct and coordinate research on cannabis and its biological effects with an eye toward commercial applications." Mount Scopus (Hebrew: Har HaTzofim הר הצופים), in the north-eastern part of Jerusalem, is home to the main campus, which contains the Faculties of Humanities, Social Sciences, Law, Jerusalem School of Business Administration, Baerwald School of Social Work, Harry S. Truman Research Institute for the Advancement of Peace, Rothberg International School, and the Mandel Institute of Jewish Studies. The Rothberg International School features secular studies and Jewish/Israeli studies. Included for foreign students is also a mandatory Ulpan program for Hebrew language study which includes a mandatory course in Israeli culture and customs. All Rothberg Ulpan classes are taught by Israeli natives. However, many other classes at the Rothberg School are taught by Jewish immigrants to Israel. The land on Mt. Scopus was purchased before World War I from Sir John Gray-Hill, along with the Gray-Hill mansion. The master plan for the university was designed by Patrick Geddes and his son-in-law, Frank Mears in December 1919. Only two buildings of this original design were built: the David Wolffsohn University and National Library, and the Mathematics Institute, with the Physics Institute being probably built on the designs of their Jerusalem-based partner, Benjamin Chaikin. Housing for students at Hebrew University who live on Mount Scopus is located at the three dormitories located near the university. These are the Maiersdorf (מאירסדורף) dormitories, the Bronfman (ברונפמן) dormitories, and the Kfar HaStudentim (כפר הסטודנטים, Student Village). Nearby is the Nicanor Cave, an ancient cave which was planned to be a national pantheon. 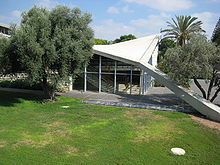 The Givat Ram campus (recently renamed after Edmond Safra) is the home of the Faculty of Science including the Einstein Institute of Mathematics; the Israel Institute for Advanced Studies, the Center for the Study of Rationality, as well as the National Library of Israel, (JNUL). The Faculties of Medicine and Dental Medicine and the Institute For Medical Research, Israel-Canada (IMRIC) are located at the south-western Jerusalem Ein Kerem campus alongside the Hadassah-University Medical Center. The Robert H. Smith Faculty of Agriculture, Food and the Environment and the Koret School of Veterinary Medicine are located in the city of Rehovot in the coastal plain. The Faculty was established in 1942 and the School of Veterinary Medicine opened in 1985. These are the only institutions of higher learning in Israel that offer both teaching and research programs in their respective fields. The Faculty is a member of the Euroleague for Life Sciences. 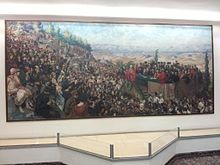 The Jewish National and University Library is the central and largest library of the Hebrew University and one of the most impressive book and manuscript collections in the world. It is also the oldest section of the university. Founded in 1892 as a world center for the preservation of books relating to Jewish thought and culture, it assumed the additional functions of a general university library in 1920. Its collections of Hebraica and Judaica are the largest in the world. It houses all materials published in Israel, and attempts to acquire all materials published in the world related to the country. It possesses over five million books and thousands of items in special sections, many of which are unique. Among these are the Albert Einstein Archives, Hebrew manuscripts department, Eran Laor map collection, Edelstein science collection, Gershom Scholem collection, and a collection of Maimonides' manuscripts and early writings. In his Will, Albert Einstein left the Hebrew University his personal papers and the copyright to them. The Albert Einstein Archives contain some 55,000 items. In March, 2012 the University announced that it had digitized the entire archive, and was planning to make it more accessible online. Included in the collection are his personal notes, love letters to various women, including the woman who would become his second wife, Elsa. 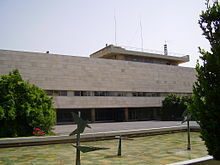 In addition to the National Library, the Hebrew University operates subject-based libraries on its campuses, among them the Avraham Harman Science Library, Safra, Givat Ram; Mathematics and Computer Science Library, Safra, Givat Ram; Earth Sciences Library, Safra, Givat Ram; Muriel and Philip I. Berman National Medical Library, Ein Kerem; Central Library of Agricultural Science, Rehovot; Bloomfield Library for the Humanities and Social Sciences, Mt. Scopus; Bernard G. Segal Law Library Center, Mt. Scopus; Emery and Claire Yass Library of the Institute of Archaeology, Mt. Scopus; Moses Leavitt Library of Social Work, Mt. Scopus; Zalman Aranne Central Education Library, Mt. Scopus; Library of the Rothberg School for International Students, Mt. Scopus; Roberta and Stanley Bogen Library of the Harry S. Truman Research Institute for the Advancement of Peace, Mt. Scopus; and the Steven Spielberg Jewish Film Archive. The Hebrew University libraries and their web catalogs can be accessed through the HUJI Library Authority portal. 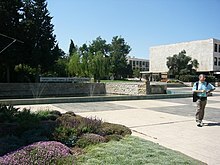 According to the Academic Ranking of World Universities, the Hebrew University is the top university in Israel, overall the 59th-best university in the world, 33rd in mathematics, between 76th and 100th in computer science, and between 51st and 75th in business/economics. In 2015, the Center for World University Rankings ranked the Hebrew University 23rd in the world and the top in Israel in its World University Rankings. The university has an international Society of Friends organizations covering more than 25 countries. Canadian Friends of the Hebrew University of Jerusalem (CFHU), founded in 1944 by Canadian philanthropist Allan Bronfman, promotes awareness, leadership and financial support for The Hebrew University of Jerusalem. CFHU facilitates academic and research partnerships between Canada and Israel as well as establishing scholarships, supporting research, cultivating student and faculty exchanges and recruiting Canadian students to attend the Rothberg International School. CFHU has chapters in Montreal, Ottawa, Toronto, Winnipeg, Edmonton, Calgary and Vancouver. The American Friends of the Hebrew University (AFHU) is a not-for-profit 501(c)3 organization that provides programs, events and fundraising activities in support of the university. It was founded by the American philanthropist, Felix M. Warburg in 1925. Supported by its founder, Stephen Floersheimer, and headed by Eran Razin, Floersheimer Studies is a singular program, publishing studies in the field of society, governance and space in Israel. It was established in 2007 replacing the Floersheimer Institute for Policy Studies of 1991. Michael O. Rabin, computer science and mathematics, Israel Prize Winner and recipient of the Turing Award. Educators: Brother Rafael S. Donato FSC, Ed.D., was a Filipino De La Salle Brother and was the past President of De La Salle University Manila, University of St. La Salle, De La Salle Lipa, La Salle Green Hills and De La Salle Araneta University. Writers: Yehuda Amichai, Galila Ron-Feder Amit, Aharon Appelfeld, Netiva Ben-Yehuda, Elias Chacour, Yael Dayan, David Grossman, Dmitry Glukhovsky, Batya Gur, Shifra Horn, Amos Oz, A. B. Yehoshua, Amnon Jackont, Amalia Kahana-Carmon, Yehoshua Kenaz, Miriam Roth, Anton Shammas, Gideon Telpaz, Natan Yonatan, Helen Epstein, Amir Segal, Yuval Elizur, Jonah Frankel. Yissum Research Development Company is the university's technology transfer company, founded in 1964. Yissum owns all the intellectual property of the researchers and employees of the Hebrew University. Since its formation Yissum has founded more than 80 spin-off companies such as: Mobileye, BriefCam, HumanEyes, OrCam, ExLibris, BioCancell and many more. Yissum is led by Yaacov Michlin and other leaders in the business industry such as: Tamir Huberman, Dov Reichman, Shoshi Keinan, Ariela Markel and Michal Levy. Yissum is also a member of ITTN (Israel Technology Transfer Organization). ^ "The Hebrew University of Jerusalem – About". Huji.ac.il. Retrieved September 6, 2011. ^ Weitz, Yechiam (March 15, 2011). "The subversives on the hill". Haaretz. Retrieved September 6, 2011. ^ Victims of Hadassah massacre to be memorialized, Judy Siegel-Itzkovich, Jerusalem Post, April 7, 2008. ^ "Fighting Jack Churchill Survived A Wartime Odyssey Beyond Compare". Wwiihistorymagazine.com. 1941-12-27. Retrieved 2014-03-08. ^ International Dictionary of University Histories. Retrieved September 6, 2011. ^ "Jerusalem: Architecture in the British Mandate Period". Jewishvirtuallibrary.org. Retrieved September 6, 2011. ^ "HUJI Memorial Pages". Memorial.huji.ac.il. July 31, 2002. Retrieved September 6, 2011. ^ "Terrorist bombing at Hebrew University cafeteria". Mfa.gov.il. Archived from the original on December 13, 2010. Retrieved September 6, 2011. ^ JTA (2017-04-07). "Hebrew University Creates a Buzz With New Marijuana Research Center". Haaretz. Retrieved 2017-04-11. ^ Diana Dolev (1998). "Architectural Orientalism In the Hebrew University - The Patrick Geddes and Frank Mears Master-Plan". Assaph, Section B, Studies in art history, no. 3, 217-234. Tel Aviv: Tel-Aviv University, Faculty of Fine Arts. Archived from the original on 2012-11-12. Retrieved September 6, 2011. ^ Diana Dolev (2016). The Planning and Building of the Hebrew University, 1919–1948: Facing the Temple Mount. Lexington Books. pp. 67–76. ISBN 9780739191613. Retrieved 26 July 2018. ^ "About Us — Institute for Medical Research Israel-Canada (IMRIC)". imric.org. 2014-05-15. Retrieved 2014-05-19. ^ "Faculty of Agricultural, Food and Environmental Quality Sciences". Agri.huji.ac.il. Retrieved September 6, 2011. ^ "Koret School of Veterinary Medicine". Departments.agri.huji.ac.il. Retrieved September 6, 2011. ^ Rabinovitch, Ari (March 20, 2012). "Einstein the scientist, dreamer, lover: online". Reuters. Retrieved March 20, 2012. ^ "Einstein papers to go digital on the Web". Space Daily. March 19, 2012. Retrieved March 20, 2012. ^ Doyle, Carmel (March 20, 2012). "University digitises Einstein archives via new website". Silicon Republic. Retrieved March 20, 2012. ^ "lib-authority.huji.ac.il". lib-authority.huji.ac.il. 2013-07-26. Retrieved 2014-05-19. ^ "ARWU World University Rankings 2017 - Academic Ranking of World Universities 2017 - Top 500 universities - Shanghai Ranking - 2017". www.shanghairanking.com. Retrieved 7 November 2018. ^ "QS World University Rankings 2018". 1 February 2017. Retrieved 7 November 2018. ^ "World University Rankings". 18 August 2017. Retrieved 7 November 2018. ^ Academic Ranking of World Universities 2015, published by Shanghai Jiao Tong University in 2015. ^ "Top 100". Center for World University Rankings. 2013. Retrieved July 17, 2013. ^ "Floersheimer Studies". en.fips.huji.ac.il. Retrieved 2017-08-16. ^ "Sarah Spiegel, Ph.D." Asthma and Allergic Diseases Cooperative Research Center. 2010. Retrieved 2 September 2015. ^ "Tamir Huberman - Israel | LinkedIn". Il.linkedin.com. Archived from the original on 2013-11-06. Retrieved 2014-05-19. Wikimedia Commons has media related to Hebrew University of Jerusalem.